No news happening here? Head over to Instagram for latest updates. This entry was posted in News on 13/10/2015 by admin. 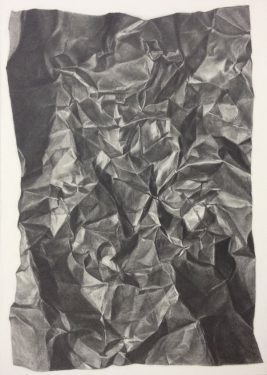 Showing works by Stephen Palmer, Narbi Price and Matthew Smith. This entry was posted in News on 18/09/2015 by admin. To celebrate the tenth anniversary of the opening of Vane gallery, ‘Ten’ showcases the work of nineteen international artists represented by Vane. With artists from Germany, Denmark, Iceland, South Africa, the USA, as well as the UK, working across painting, drawing, sculpture and video, ‘Ten’ provides a snapshot of each individual artist’s practice. EC Davies, Michael Davies, Kerstin Drechsel, Jorn Ebner, Mark Joshua Epstein, Nick Fox, Simon Le Ruez, Dodda Maggý, Jock Mooney, Michael Mulvihill, Stephen Palmer, Josué Pellot, Narbi Price, Morten Schelde, Matthew Smith, Alison Unsworth, Barbara Walker, Miranda Whall, Flora Whiteley. This entry was posted in News on 19/07/2015 by admin. A contemporary art fair showcasing some of the most exciting galleries in the North East region, hosted by Vane and Breeze Creatives. The fair will include presentations by several Newcastle galleries, both long-established, including Vane and Globe Gallery, alongside more recent initiatives based in the city, including System Gallery, Praxis, and Breeze Creatives, as well as a significant presence from the burgeoning Middlesbrough arts scene, including Platform-A, Python Gallery and The House of Blah Blah. Artists exhibiting with Vane include EC Davies, Kerstin Drechsel, Jock Mooney, Michael Mulvihill, Stephen Palmer, Narbi Price Matthew Smith and Flora Whiteley. The fair is one of a series of events at Old Shire Hall in Durham over the summer that will raise funds towards the building and running of The Experimental Studio, a collaboration between Vane and Breeze Creatives to support a series of residencies for contemporary artists based at Vane’s gallery in central Newcastle. The residencies will allow artists in any field of practice to benefit from working in a concentrated time-period, at the end of which there will be opportunities to exhibit work in Vane gallery. This entry was posted in News and tagged vane on 27/08/2014 by admin. Business Design Centre, 52 Upper Street, London N1 0QH, 15-19 January 2014. Vane is exhibiting in the Art Projects area the London Art Fair. Kerstin Drechsel, Nick Fox, Simon Le Ruez, Dodda Maggy, Jock Mooney, Michael Mulvihill, Stephen Palmer, Narbi Price, Morten Schelde. This entry was posted in News on 06/12/2013 by admin. 26 – 29 September 2013, Spinningfields, Manchester. Vane presents works by Adam Burns, Kerstin Drechsel, Jorn Ebner, Jock Mooney, Michael Mulvihill, Stephen Palmer, Narbi Price and Flora Whiteley. This entry was posted in News on 13/09/2013 by admin. This entry was posted in News on 30/08/2013 by admin. 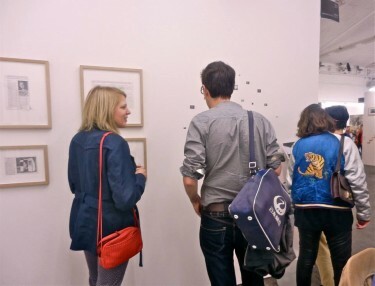 VOLTA9 – Basel’s cutting-edge art fair for new and emerging art. 10 June – 15 June 2013, Dreispitzhalle, Basel, Switzerland. This entry was posted in News on 30/05/2013 by admin. Launch F18 373 Broadway, 6th Floor, New York NY 10013, USA, 5-10 March. This entry was posted in News on 01/03/2013 by admin. Solo exhibition at Vane, Newcastle upon Tyne, 7 February – 23 March 2013. 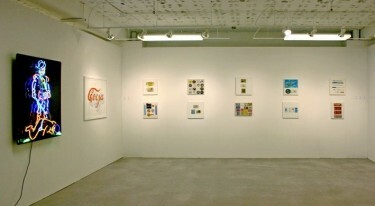 Solo exhibition including a new series of drawings based on newspaper clippings. The selected stories are not strictly speaking ‘news’, but rather they offer a historic perspective on a number of topics including ufology, Cold War relations, space exploration and collecting. This entry was posted in News on 30/01/2013 by admin. My work Melly Loves Lyn Forever is included in this group show in Berlin curated by Flora Whiteley, Christopher Rollen and Tim Greaves. 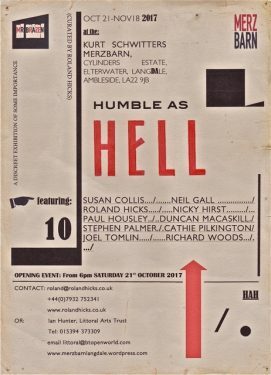 Full list of artists: Kit Craig, Nick Crowe and Ian Rawlinson, Kirsten Drechsel, Stefan Endewardt, Tim Greaves, Annette Knol, Mick McIlroy, Stephen Palmer, Christopher Rollen, Phoebe Unwin, Flora Whiteley. This entry was posted in News on 11/04/2012 by admin. Oriel Mwldan, Cardigan, 21 May – 2 July, Monday – Sunday 10 am – 8pm . Curated by Michael Cousin. Outcasting is screening a hundred films from its archive of three years of programming. The films come from a variety of genres and styles and reflect the full breadth of artists engagement with this medium. Over the course of 43 days audiences will be able to see a truly international range of work with the 100 films being rotated throughout that time. 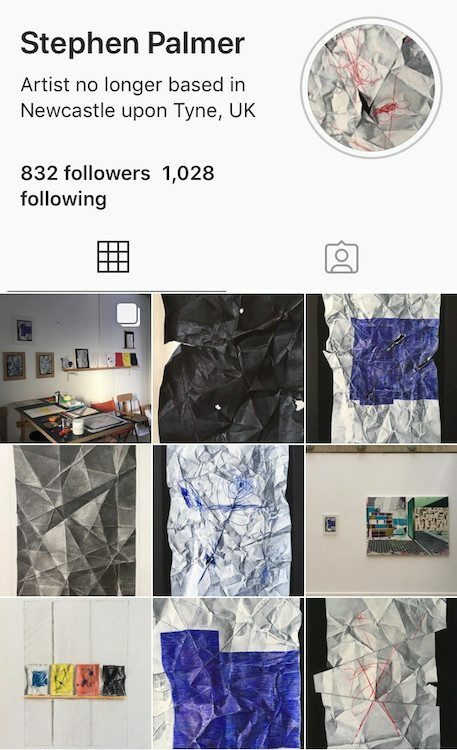 Featured artists include Edward Adam, Louise Adkins, Beard & Ferguson, Beck & Calvo, Birkbeck & Duffy, Anne-Marie Creamer, Herve Constant, Kim Fielding, Dave Griffiths, Anton Hecht, Richard Higlett, Lemeh 42, Rebecca Lennon, Stephen Palmer, Robert Pearre, Guilherme Pedreiro, Yannick Puig, Nicolas Ramel, Giulia Ricci, Jennie Savage, Selina Shah, James Snazell, Lisa Stansbie, Alysse Stepanian, Jacki Storey, Jennie Thwing, Katri Walker, Kim Walker, Christopher Webster, Tina Willgren and Dawn Woolley. This entry was posted in News on 23/05/2011 by admin. Idea Generation Gallery, 11 Chance Street, Shoreditch, London E2 7JB, 7 – 9 October, 10am – 7pm. An exiting new collaboration between contemporary art galleries, the Own Art scheme and CultureLabel.com. Vane will be showing work by Nick Fox, Jock Mooney, and Stephen Palmer. Browse and buy the work of established and emerging contemporary artists represented by some of the UK’s leading galleries… and spread the cost with Own Art Online. Own Art Online is an Arts Council England initiative developed in partnership with Creative Scotland. See www.artscouncil.org.uk/ownart/index.html or follow Own Art on twitter and Facebook. This entry was posted in News on 03/10/2010 by admin. Exhibiting 2 new drawings as part of Vane’s presentation at Newcastle Gatehead Art Fair, 1-3 October 2010. This entry was posted in News on 29/09/2010 by admin. Vane, Newcastle upon Tyne, 2 July – 1 August 2009. This entry was posted in News on 01/07/2009 by admin. Vane, Newcastle upon Tyne, 4 – 13 December 2008. To accompany the release of The Dead and Alive Songs an exhibition of related works at Vane, Newcastle upon Tyne, includes a new series of paintings featuring images of charity shop purchased 7 inch singles. Each of the records’ sleeves, all of which are the paper variety rather than picture sleeves, have been customised in some way by their former owners – sometimes simply by the addition of the song title or band’s name in a youthful scrawl, or in one case an attempt to recreate an entire picture sleeve, by hand, using felt-tip pens. This entry was posted in News on 03/12/2008 by admin. The Dead and Alive Songs is a limited edition 7 inch vinyl single and accompanying screenprint making reference to all the songs in my record collection that include in their titles the words ‘dead’, ‘death’, ‘die’ and ‘dying’, ‘alive’, ‘life’, ‘live’ and ‘living’. The vinyl single features two compositions demonstrating that in popular song optimistic proclamation is equally countered by dire pessimism: the alive side is a celebration of all the songs about existence while the dead side includes an arrangement based on all the songs about expiration. The Dead and Alive Songs is packaged in a full-colour sleeve accompanied by a 7 inch square screenprint featuring an image of by Sharpen Temple’s 1973 single of the same name. Vinyl records have an interesting quality in that they are a kind of defunct technology that refuses to go away. The advent of MP3s has seemingly made vinyl more popular – if you’ve downloaded a track to listen to on your iPod but also want an object to add to your collection, vinyl records are somehow much more interesting and tactile than CDs, the artwork more appealing and the record itself a warmer and more fulfilling listening experience. This entry was posted in News on 01/12/2008 by admin. Solo exhibition at Vane, Newcastle upon Tyne, 25 October – 17 November 2007 ‘Worthless little tokens’ is a series of paintings cataloguing a collection of free, found and received objects: matchboxes picked up in pubs or in the street; pens received through the post from charities and credit card companies as an incentive to sign up to a particular product or scheme; sugar, salt and sauce sachets collected as mementos of trips to, and along the way to, places far and wide. This entry was posted in News on 26/10/2007 by admin.